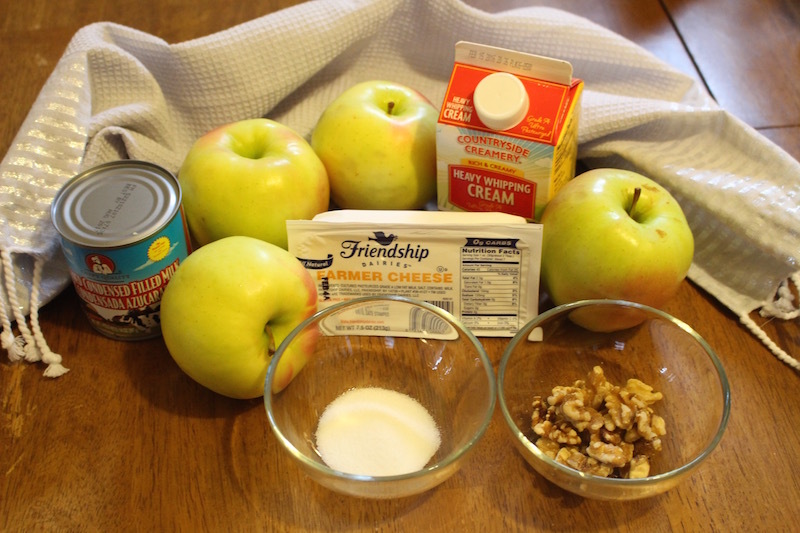 Baked apples with farm cheese, heavy cream and wall nuts this mixture makes a delicious dessert. It is also a Ukrainian original recipe. The completed product looks very beautiful and has a strong good scent. 1.) Wash and dry the apples well. 2.) 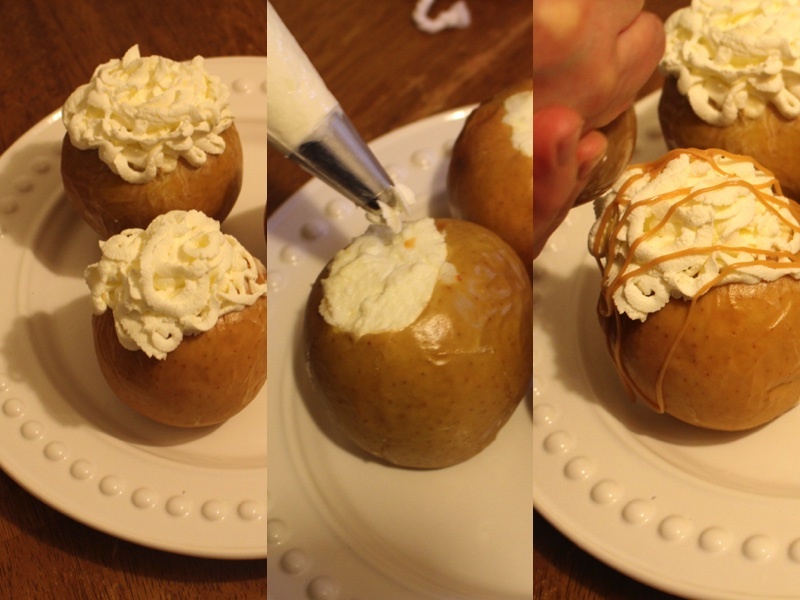 Cut the center pulp out of each apple, In a small bowl add cheese cream, vanilla sugar and plain sugar. medium speed until the whipped cream is fluffy. and a hole at the top of the bag, pipe out small lines on your decorations. Sprinkle crushed wall nuts on the top for a final touch. Wash and dry the apples well. 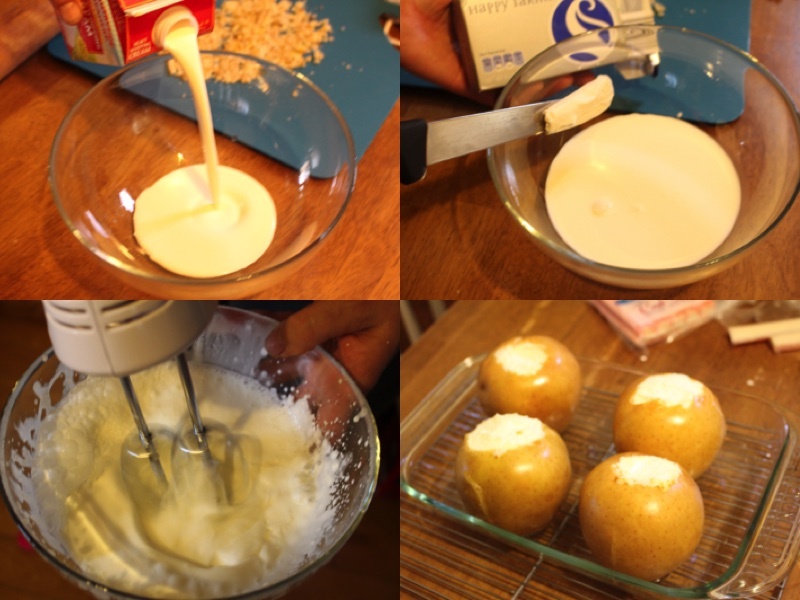 Cut the center pulp out of each apple, In a small bowl add cheese cream, vanilla sugar and plain sugar. 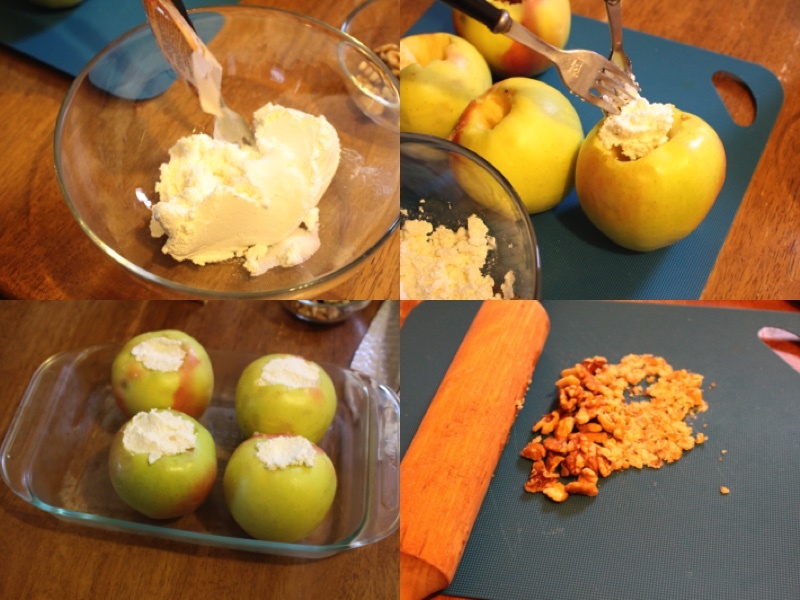 Mix together well, Place portions of the mixture into each apple from top to bottom. Bake apples in a clear glass pan on 360F for 35min. Add heavy cream and a small portion of cream cheese (About the size of a knife). 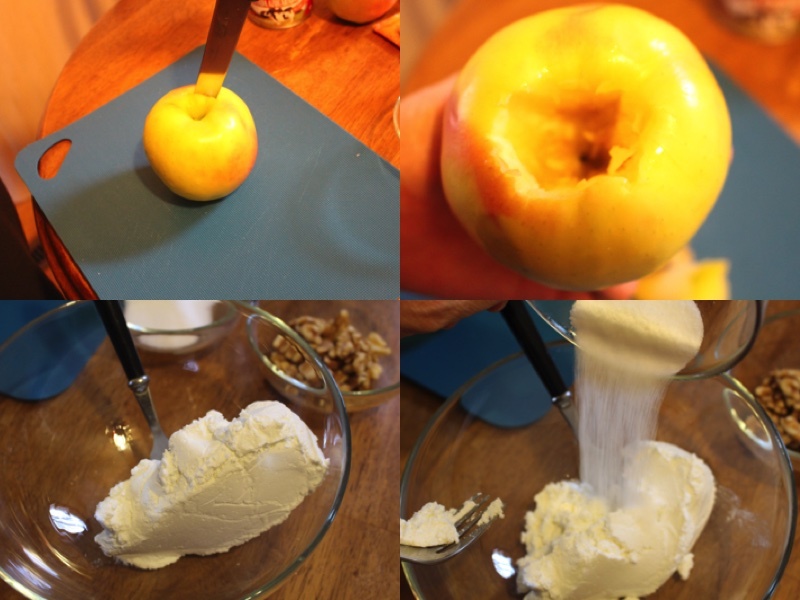 Beat with a electric mixer on medium speed until the whipped cream is fluffy. Using a decoration bag, decorate the top of the apple with a flower. 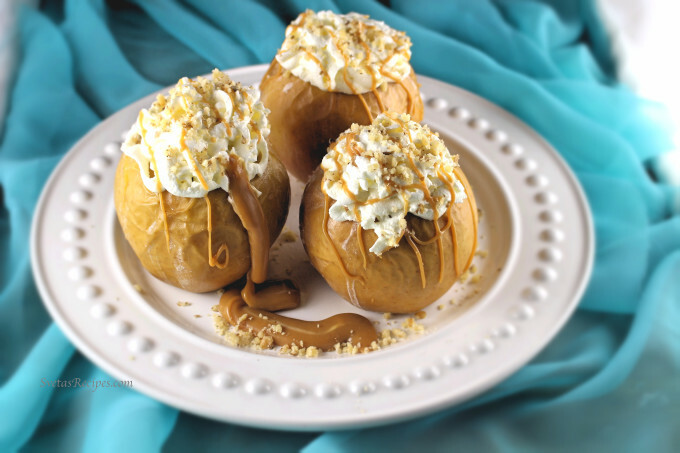 Using a ziploc bag add Dulce de – Leche and a hole at the top of the bag, pipe out small lines on your decorations. Sprinkle crushed wall nuts on the top for a final touch.